This workshop is appropriate for Beginner to Intermediate students. Knowledge of copperplate script and how to use a pointed pen will be beneficial. Spirited, lively, casual, contemporary, expressive. This class will explore pointed pen alphabets that veer away from the classic copperplate form. We will make subtle changes to angle, weight and shape to create entirely new alphabets. Shedding the refinement and “dressed up” persona of Copperplate, these alphabets will still nod to the classics, but with a twist of personality (your personality) shining through. An exploration of color and its use with our designs will round out the class. 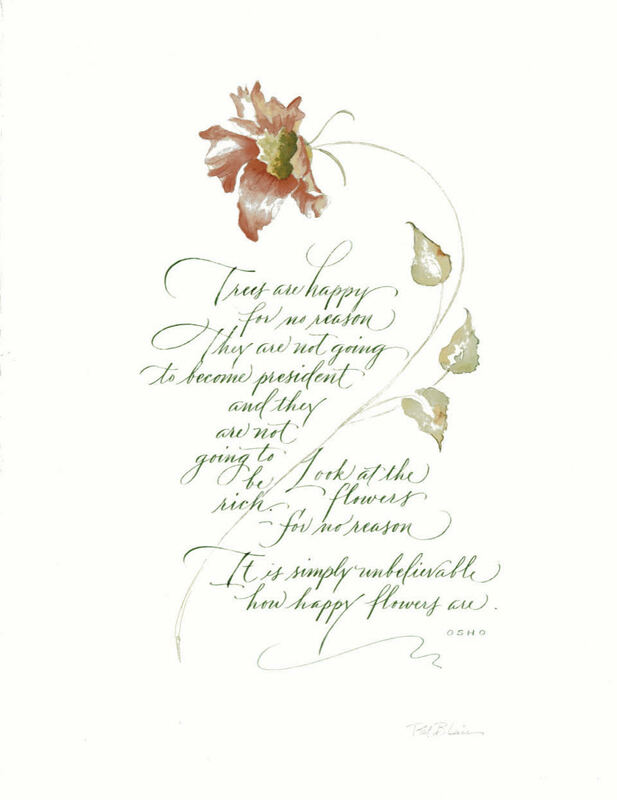 Pat Blair served 12 1/2 years as the Chief Calligrapher at the White House in Washington, DC, directing the production of invitation and menu design for all official and social presidential events, calligraphy of place cards, envelopes and titles, certificate and resolution design as well as production of programs and tour books. 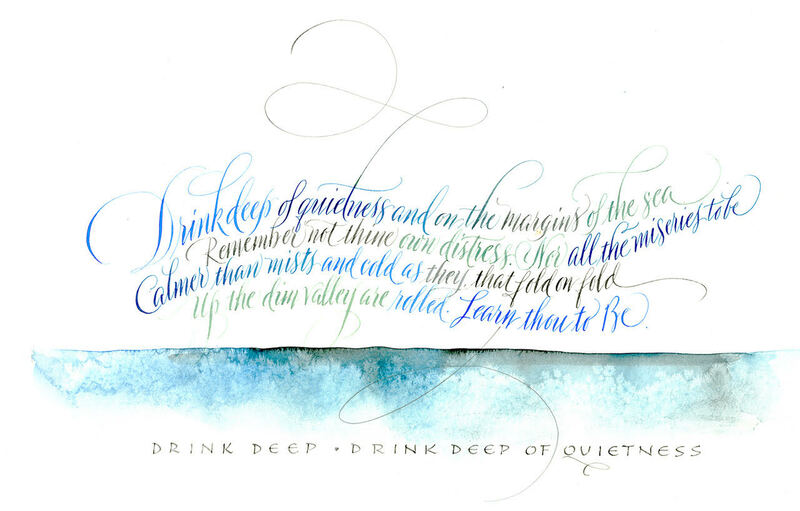 She served two years as the President of the Washington Calligrapher’s Guild in Washington, DC, was the chairperson of the Graceful Envelope contest sponsored by the US Postal Service, and served as co-director for the International Lettering Conference, Letterforum. 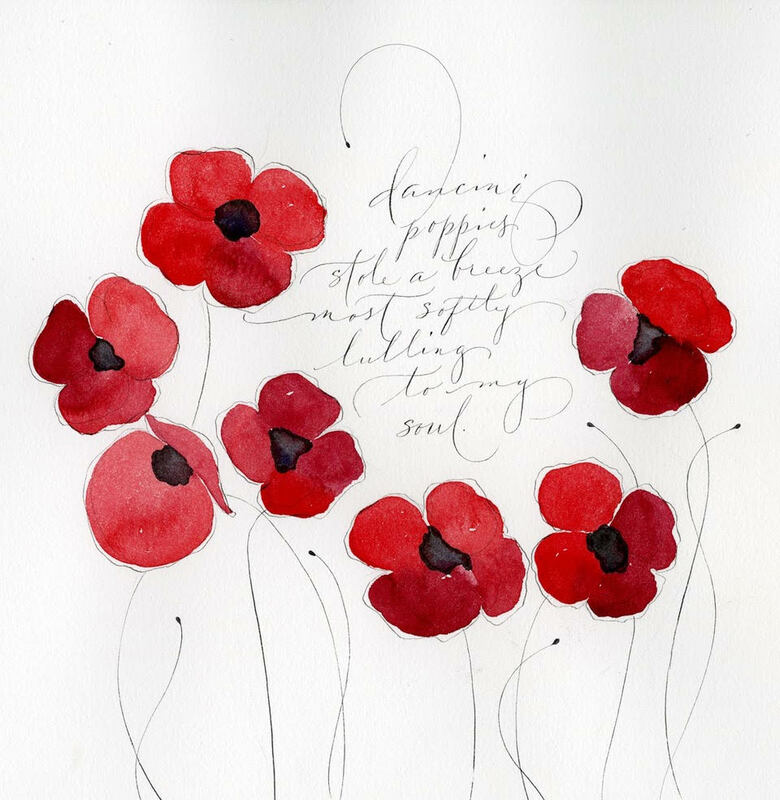 Her work has been published in the Calligrapher’s Engagement Calendar, Letter Arts Review, Top 100 New York Calligraphers, Grolier Club Calligraphy Revival, and Martha Stewart Weddings, among others. 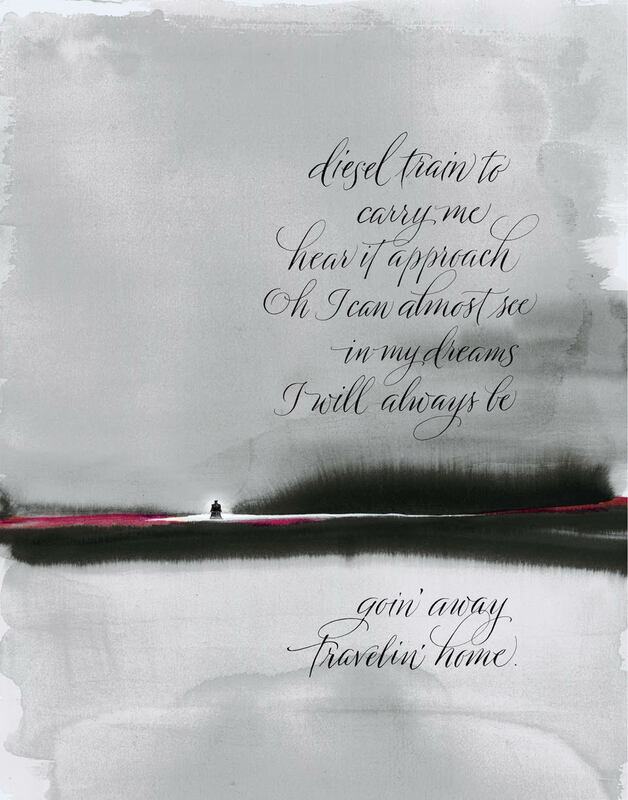 She taught at the Loudoun Academy of the Arts, and has been on the faculty of over ten International Calligraphy Conferences. Her workshops emphasize the grace and elegance that letterforms can achieve by paying close attention to the beauty of the form. She has been awarded the title Master Penman by the International Association of Master Penmen, Engrossers and Teachers of Handwriting (IAMPETH) for her work. Want to know more about a workshop or have one to suggest?